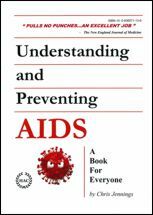 Recently, a web page of National Public Radio stated “AIDS is the primary killer of African-Americans ages 19 to 44 years of age.” This misconception is evidently a common one. For example, Peter Piot, the Executive Director of UNAIDS, had broadcast the same belief previously, i.e., “AIDS remains the leading cause of death in African-American women in the USA.”  Neither statement is accurate. It is no secret that the African-Americans, as a group, embody a number of medical and societal ills in a prevalence disproportionate compared with the remainder of the U.S. population . . . HIV/AIDS among them. Nevertheless, HIV/AIDS is not the principal killer of black Americans of any age group, male or female. The tables below attest to this fact. Read this table left-to-right. For example, in the 15 – 19 years age bracket, HIV/AIDS was ranked 8th among the top ten killers. Twenty-two (22) people died of HIV/AIDS. These 22 people represented 0.8% of all deaths among the 15 – 19 years age bracket. For the year 2008, Table 2 presents the same data but for African-American females only. Table 2 discounts Piot’s statement that “AIDS remains the leading cause of death in African-American women in the USA.” For the year 2008, Table 2 clearly shows that HIV/AIDS is not the leading cause of death among African-American woman. The high prevalence of HIV infection in the black community is largely due to IV drug use. (Therefore, as a short-term partial solution, the issue of making clean hypodermic needles available is a vital issue.) Historically, a large proportion of the black (and Latino) females with HIV/AIDS were the sexual partners of male black (and Latino) IV drug users. 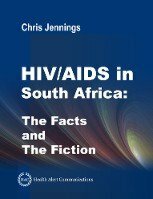 Overall, heterosexual HIV transmission dwells in the realm of long-term sexual partnerships: not in the world of one-night stands (although it can and probably has happened). 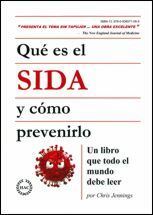 The story of blood-borne diseases, such as HIV infection and Hepatitis B virus infection, is written in the ills of society. These two blood-borne diseases share the same transmission vectors and the same high-risk groups. The Hepatitis B epidemic of the 1970s was a model for the HIV/AIDS epidemic that emerged in the 1980s. To repeat, the story of blood-borne diseases – as with many other conditions consequent to adverse health behaviors — is written in the fabric of society. 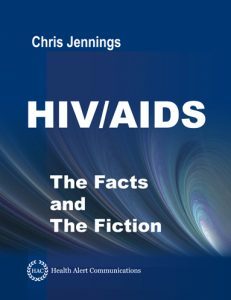 The answer to HIV/AIDS does not lay in money, science, more effective drugs, or a vaccine. Behind Hepatitis B and HIV lay some other blood-borne agent waiting to emerge. To end the era of blood-borne diseases in the Western world, the mandate is the creation of a society enabling the formation of familial, educational, and societal structures (including economic justice!) that grant emotional inoculation against the incidence and consequence of hate, insecurity, despair, and abuse.